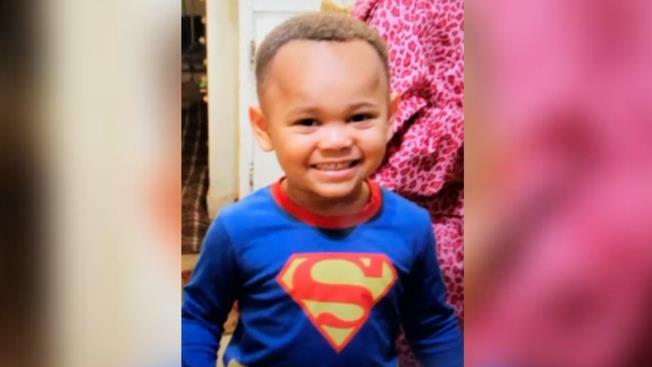 The family of a 4-year-old Oakland boy who accidentally shot himself in the head last week is asking California's governor to let the boy's father temporarily leave prison to be by his son's hospital bedside. Jodi Hernandez reports. The family of a 4-year-old Oakland boy who accidentally shot himself in the head last week is asking California's governor to let the boy's father temporarily leave prison to be by his son's hospital bedside. Family members on Monday plan to ask Gov. Gavin Newsom to allow Nathan Jackson to see his son Navaun at UCSF Benioff Children's Hospital Oakland when the elder Jackson is transported from Salinas Valley State Prison to Folsom State Prison on Thursday. "My nephew has already lost two brothers and a sister to gun violence," Land said in a statement. "Now he might lose his son to this epidemic, too. We are asking Governor Newsom to show mercy and let Navaun have his father visit him as he fights for his life." The family of a 4-year-old Oakland boy who accidently shot himself in the head last week is asking California's governor to let the boy's father temporarily leave prison to be by his son's hospital bedside. Kris Sanchez reports. Newsom previously granted Nathan Jackson the opportunity to Skype with his son. The sister of a man who rents the home on Ritchie Street in Oakland where the incident occurred said the boy slipped away from two friends and found the gun. The boyfriend of Navaun's mother, 37-year-old Terrence Wilson, was charged with one count of child abuse and one count of possession of a firearm by a felon, as well as one count of first degree criminal firearm storage.